This entry was posted in Success and tagged health, healthcare profession, healthy-living, nutrition by Judy. Bookmark the permalink. Great article Judy! I have started working out 3 to 4 days a week since the start of April and I would be interested to know what foods to eat before and after a workout to decrease muscle soreness and produce the maximal results. I also can’t seem to get my stomach flat, so I hope that article on the Olympic dietitians can shed some light on how the elite athletes keep slim! I, too, started working out in February. I can’t seem to get my stomach flat either! At my age, it takes a lot longer to lose weight. But I would say that eating smaller portions, more fruits and vegetables, and doing stomach crunches will help get your stomach flat. 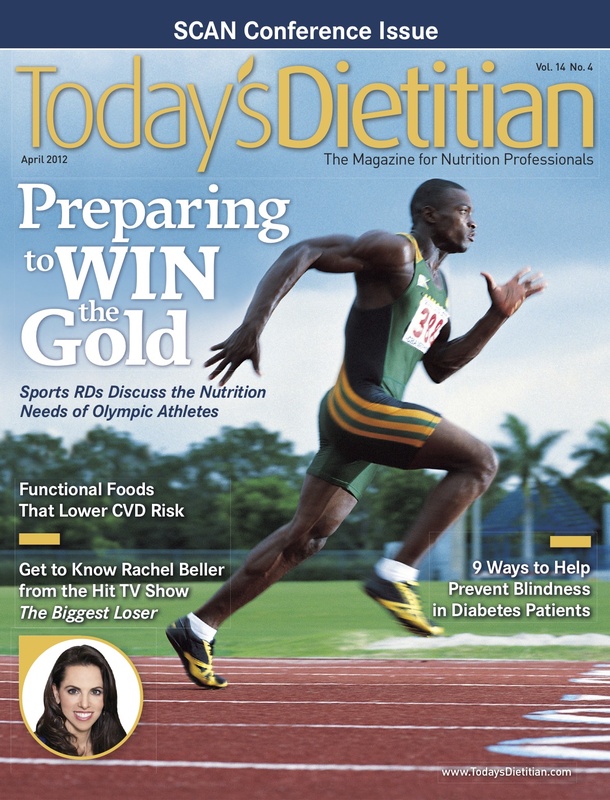 The article doesn’t give information on exactly how to exercise like the athletes, although it does discuss their nutrient needs during workouts and competition day. Athletes are in a league all their own. Just keep at it and you’ll eventually see the results. Take care. Hope to speak with you soon!